With more than 10 years of experience in the electrical trade, we design, install, commission and maintain all electrical systems according to your requirements. Responding to the latest technological advances, our specialties lie in: electric hot water systems, electric efficient lighting systems, electric central heating systems and electric underfloor heating. Our electric boilers are 99% energy efficient, very quiet, and have a life expectancy of up to 25 years (depending on boiler type). We pride ourselves on high levels of workmanship and believe that going the extra mile for the customer makes a big difference. Furthermore, we are honest and straightforward about all works required, so you know exactly what to expect from us and have the highest level of transparency, so that there are no surprises at the end of the day. Customer satisfaction is paramount to us - our reviews and ratings speak volumes about how important our customers are to us. 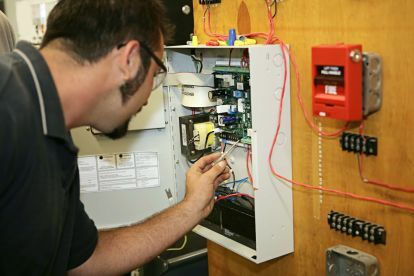 From large scale commercial electrical installations and data cabling, to domestic fuse box repairs, at A D Security & Electrical Ltd we pride ourselves on delivering a quality service. 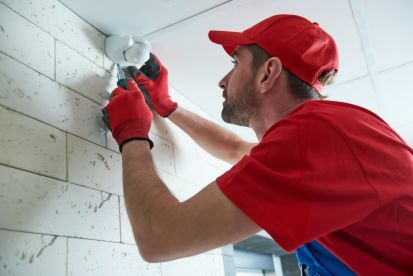 Whether you’re looking for a long term electrical contractor or need an emergency repair, our location gives us easy access across Manchester, so we can be there – exactly when you need us. 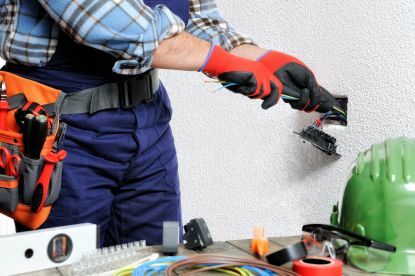 All our electricians are fully qualified, friendly and professional. Their commitment means not only does the job get done – but it gets done right. So, call us now – we’re here to help. Please note that AD Security & Electrical Ltd may not be able to honour booking requests made.